Menu Plan Monday, February 1st! 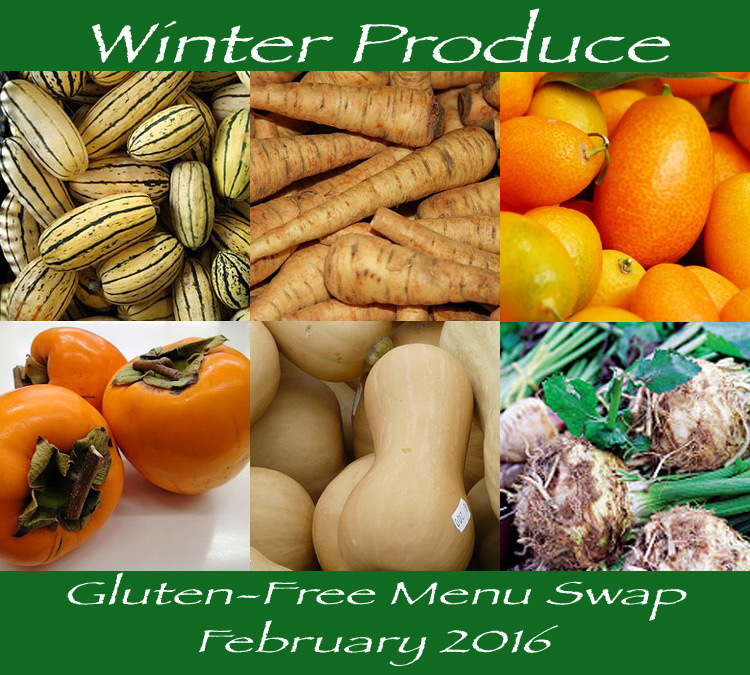 The monthly theme for the gluten-free menu swap over at Celiac Family is Winter Produce! I love winter produce–however, the last time I visited the farmer’s market a couple of weeks ago it was like spring had sprung! Everything there was ready for spring. There are still some butternut squash and things like that. I’ll see if I can incorporate that into something my whole family will eat when I do the menus for the next two weeks this week. Healthy dessert: Chocolate Chip Cookies!